As our Brand Ambassador from New York City, Timothy Sullivan has been promoting and educating about Hakkaisan Sake to both alcohol professionals and general consumers. Due to the increasing public interest in Sake worldwide in recent years, the need for us to provide a deeper level of knowledge and understanding about sake has increased as well. 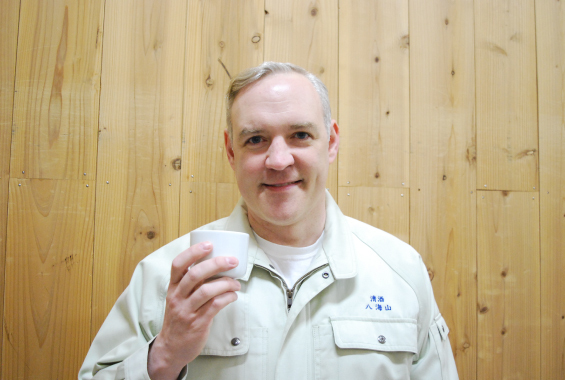 Hakkaisan decided to offer Timothy a hands on experience in sake production and our local culture for one year. These cultural activities will bring him a higher level of understanding of sake brewing and the fermentation process, as well as experiencing and learning more about the spirit of our brewers, our artisanal crafting techniques, and about Hakkaisan’s natural local environment. Timothy will be participating in company and local festivals to learn about the cultural aspects of sake brewing as well. Timothy will be sharing his experiences in Japan through his blog “Tim’s Corner”. We hope that you enjoy a view into the daily lives and culture of Hakkaisan though a brand new set of eyes.